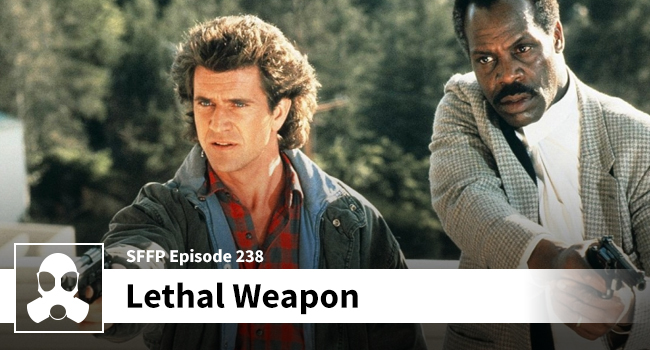 It should come as no surprise that Matthew and Dean were big fans of ‘Lethal Weapon’, but they both admit that the story is ludicrous (a special forces group selling smack?). They get into Glover’s endearing portrayal of a family man closing in on the end of his career which is contrasted against the suicidal and intense hot-head in Riggs. Dean reckons that Gibson would have made a great Wolverine, and Matthew recalls his first exposure to Glover in ‘Angels in the Outfield’. The lads also get into Shane Black’s original script, and they reckon that sometimes studio interference is a good thing. Early drafts of Lethal Weapon were downright brutal and not so buddy cop’ish. Special thank again to Donnie Harris!